This Dossier of Disgrace was produced as a result of ongoing concerns raised by the National Union of British Sign Language Interpreters (NUBSLI) about the Government’s use of National Frameworks for the procurement of British Sign Language (BSL)/English interpreting services for public services. 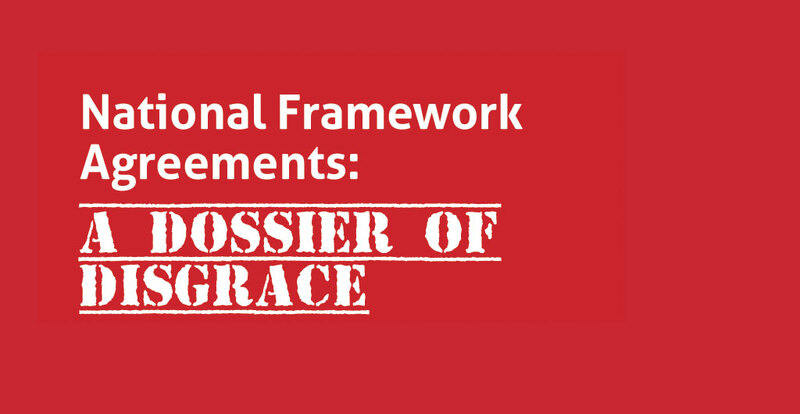 National Framework Agreements have proven to be unworkable for all parties. It is an unfeasible business model for the agencies being awarded contracts, it is unsustainable for BSL/English interpreters and Deaf customers have repeatedly been let down and have lost any choice and control over the interpreters they wish to use. NUBSLI was established in May 2014 as a result of government cuts to the Access to Work scheme. Interpreters were concerned that attacks on Deaf people’s support would result in pressures being made on interpreters’ fees, terms and conditions. In safeguarding the sustainability of the profession, interpreters were able to ensure Deaf people’s rights to high quality interpreting access. BSL/English interpreters train for an average of seven years and are highly skilled professionals, many of whom are qualified to post-graduate level. They are regulated by one of three bodies in the UK: National Registers of Communication Professionals working with Deaf and Deafblind people (NRCPD), Regulatory Body for Sign Language Interpreters and Translators (RBSLI) and Scottish Association of Sign Language Interpreters (SASLI). should be visible during assignments to provide reassurance to both Deaf and hearing people using an interpreter, that they are adequately trained and regulated. The consequences of not using professional services can be far-reaching and, in extreme cases, life-threatening. In order to track any changes within the profession, NUBSLI has carried out annual surveys of BSL/English interpreters since 2015. The 2015 results showed that a shocking 48% of interpreters were considering leaving the profession with 93% of these respondents having more than 10 years’ experience. Following the results of the 2015 survey, in March 2016 NUBSLI commissioned independent disability researcher Catherine Hale to produce a report on the findings of exit interviews completed by Sign Language interpreters (SLIs) between 19 November and 17 December 2015. It highlighted uncertainty as being the main concern facing interpreters working in the profession. The 2016 survey mirrored the results of the first. The liquidation of a large spoken language agency, Pearl Linguistics, who cited frameworks as one reason for their liquidation. It is clear that frameworks are not a sustainable business model. The companies involved have no way of knowing how many customers they will get over what time period. Cash flow becomes an issue and paying end suppliers stops. Interpreters from all languages were owed and lost significant amounts of their income as a result of Pearl going into liquidation. The boycott of another agency, LanguageLine Solutions (LLS), by interpreters in response to a large reduction in fees to unsustainable levels. NUBSLI boycotted LLS from November 2016 after they tried to impose cuts of one third to interpreted fees. The boycott ended in July 2017 when they agreed to return the original rates of pay and terms and conditions. It is worth noting that LLS attempted to source BSL/English Interpreters to cover the Sheffield bookings from as far afield as Scotland. We were informed at our first meeting with LLS that travel was payable by the NHS trust/CCG rather than the agency who held the contract; this would have meant considerable expense to the NHS and demonstrates how the use of frameworks offers no cost savings to the tax-payer. We therefore do not believe that the DWP Marketplace Review is fit for purpose and it should not be used to guide procurement options. 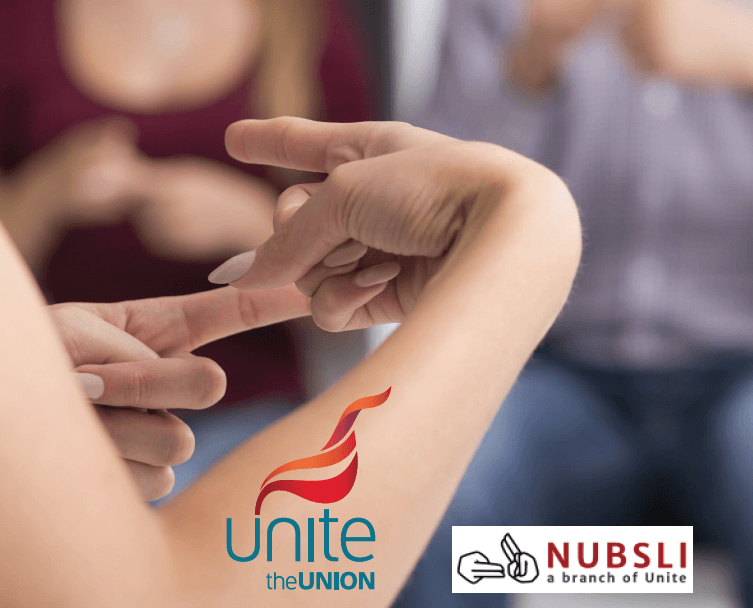 NUBSLI are concerned that the Government intend to use framework agreements to procure services for BSL Access to Work users. As of April 2018, the amount awarded to an individual from the Access to Work scheme is being capped at £41,000. The expectation is that government will choose to create a call off under the CCS framework agreement to service these awards. This is a worrying development as choice and control for Deaf individuals and the ability to choose a specific interpreter for a particular aspect of the job will diminish. We also anticipate that interpreters fees will be offered at below market rates in an attempt to mitigate the cap. This is not a sustainable and may result in more experienced interpreters leaving the profession. When the Government has already been asked to acknowledge a shortage of interpreters, this course of action would exasperate the situation, worsening access for Deaf people in the UK. In December 2014, a notice was placed in the Official Journal of the European Union (OJEU) stating the Government’s intent to establish national framework agreements for interpreting – including sign language. The whole concept of frameworks is that they can provide cost savings. By buying in bulk, it is expected that savings can be made via increasing competition in the market and what is known as gainshare by which any savings are passed back to government. This model doesn’t work for services provided by professionals, whose overheads do not diminish. NUBSLI were forced to establish a #ScraptheFramework campaign in order to be involved in any discussion with the Government body responsible for the frameworks, who refused to engage with us prior to this. They dismissed many of the concerns we raised ahead of the framework being tendered. There has been a lack of meaningful consultation with either the Deaf or interpreting communities. Subcontracting has become commonplace and is a waste of taxpayers money adding unnecessary layers of bureaucracy and meaning that specific requests made on original bookings do not get passed on. There has been a huge increase in the number of interpreters requesting support from NUBSLI for help with late payments. We are sending an average of three ‘letters before claim’ a week to agencies. This again will have an impact of the sustainability of the profession with many interpreters being unable to afford to continue in their chosen careers. To summarise, framework agreements are hugely damaging to our profession and will have a devastating impact on Deaf people’s lives with this barrier to access. The Government has already recognised that there is a shortage of BSL/English interpreters; the continued use of frameworks is only going to exacerbate this. The increase to the ATW cap had not been announced at the time of writing and on reflection was not added to this Dossier as it was felt this was largely irrelevant: any imposed cap on the scheme remains discriminatory towards those with higher support needs. You can read the StopChanges2AtW statement on the DWP’s decision to increase the cap here and read NUBSLI’s stance here.